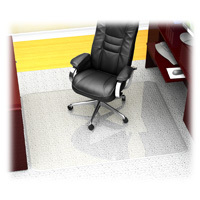 72x96 office chairmat works well in all large office areas and most cubicles. These chair mats are the heavy weight premium thickness mats. Made for carpet with padding. Ideal for home office use and executive office space.